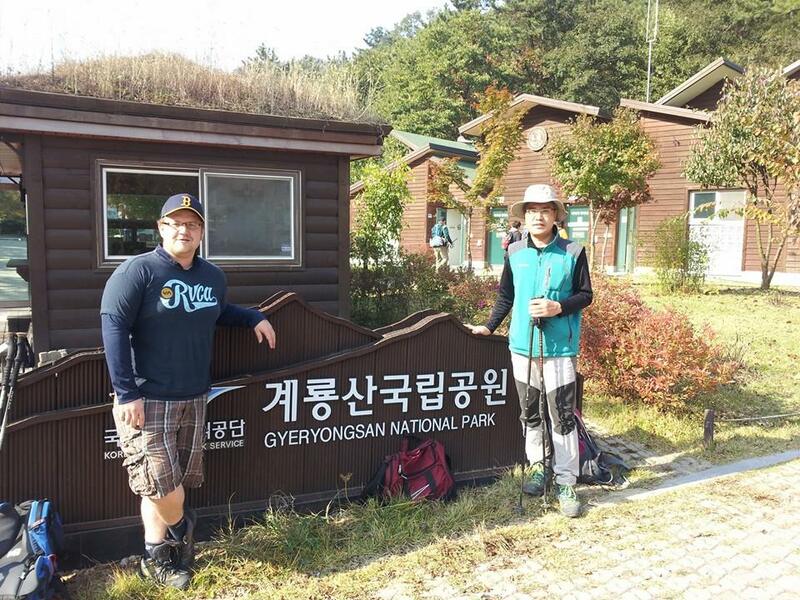 Professor Oh and I at the base of Daeduk Peak. I’m a pretty big proponent of jumping into novel experiences and then figuring out the consequences later. 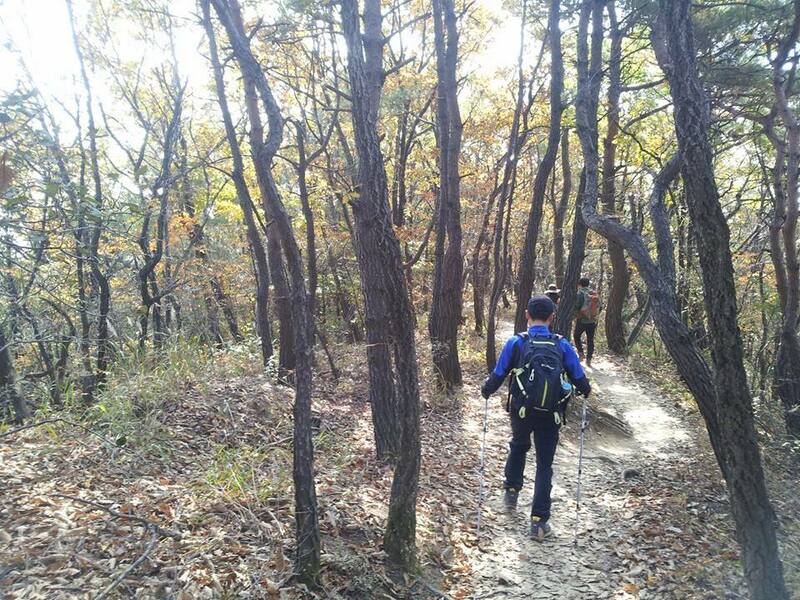 As such, when Professor Oh Yong-sun of the engineering department invited me for a nice little hike in the countryside I did not worry that I would be the only non-engineer on the trip. 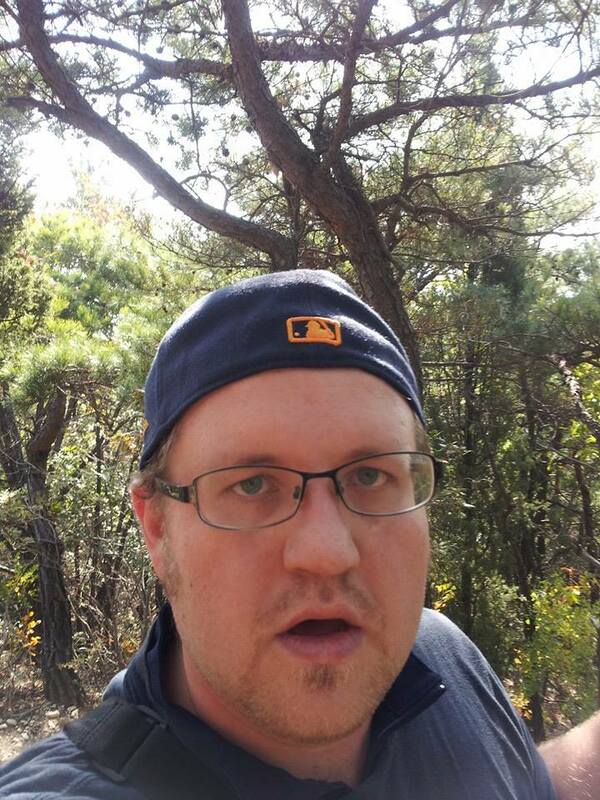 It did not concern me that I knew none of the other hikers save Professor Oh. It gave me little pause that I’d never heard of the mountain we would climb. What’s the worst that could happen? 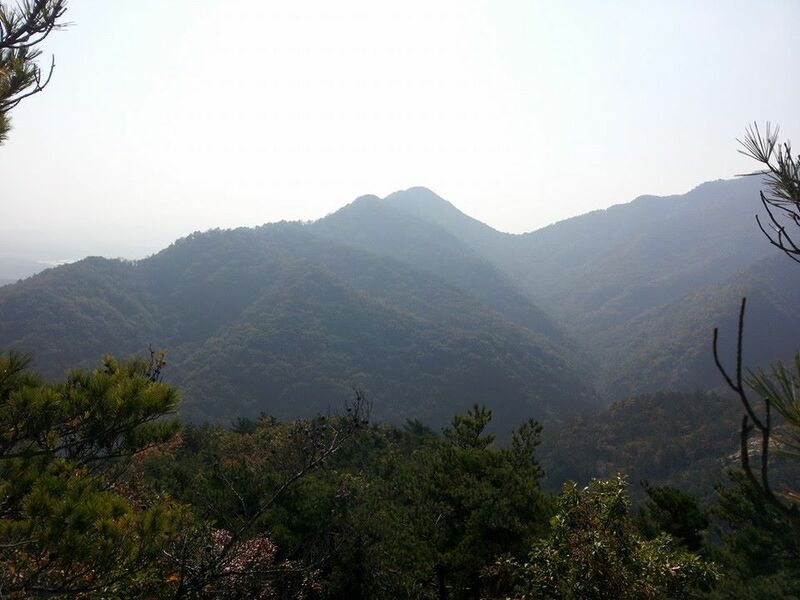 The mountain, it turned out, was called Gyeryong Mountain and the area we’d hike was known as Sutonggol. We met at the base of Doduk Peak in a small clearing with bathrooms and a creek. We checked all the equipment, or at least the others did. I got bored, hoped into a little stream and discovered an amazing creepy-crawly of, I believe, the family gardioidea. Supposedly it lives inside insects for most of its life and then pops out their butts when the time comes to reproduce. The others seemed considerably more horrified than I and so commanded I return it to the stream. Boo, hiss, boo. 연가시 like creature, or gardioidea (hairworm), I think. The others all had new hiking boots and backpacks. I, cleverly, went a different way with my very old hiking boots and single strap sports bag. We took pictures, posed by the national park sign and made jokes about the noisy, weird people up ahead on the trail. Then, without any cue I noticed, everybody took off up the trail. At first it wasn’t so bad. I was in the fastest group for the first 2 kilometers of ascent before I started to get pretty tired. Only it was an odd sort of tired. I wasn’t really breathing that hard and my muscles felt fine, but damn, something was going on in my head. I felt dizzy, weird, light headed. I took a break and let the first group pass me by. This hurt my pride a little (okay a lot), but I didn’t have much choice. I caught on with the last group, which was most definitely slowing down for me, and more or less kept up for the next couple clicks. Then, in preparation for the last kilometer or so, I took another break for water. It was then, upon lifting the sports bag off my neck I came to a realization. 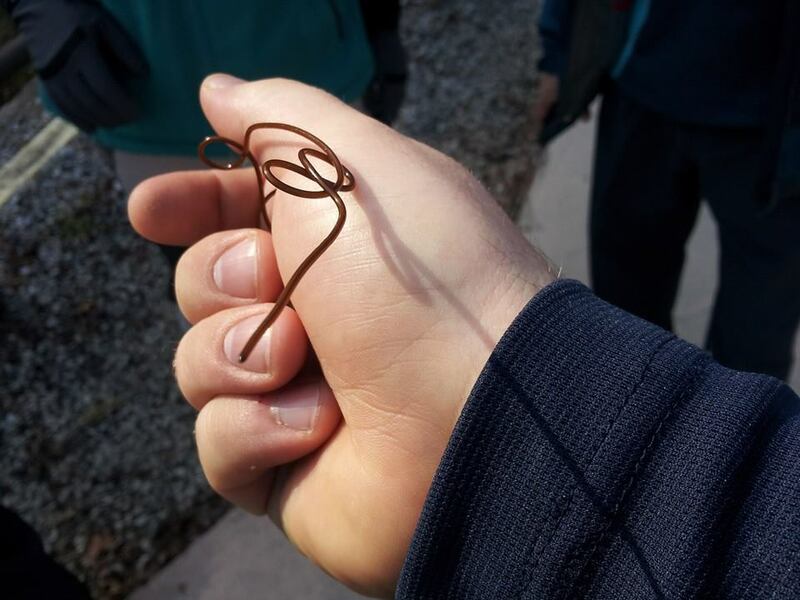 I had been strangling myself the entire way up the hill. That single strap had come to rest on my left carotid artery and, with the help of a lot of water bottles, pinched it off. It was amazing how much better I felt for the last push. The view from Doduk Peak. Then we climbed another peak and my muscles started to give out. 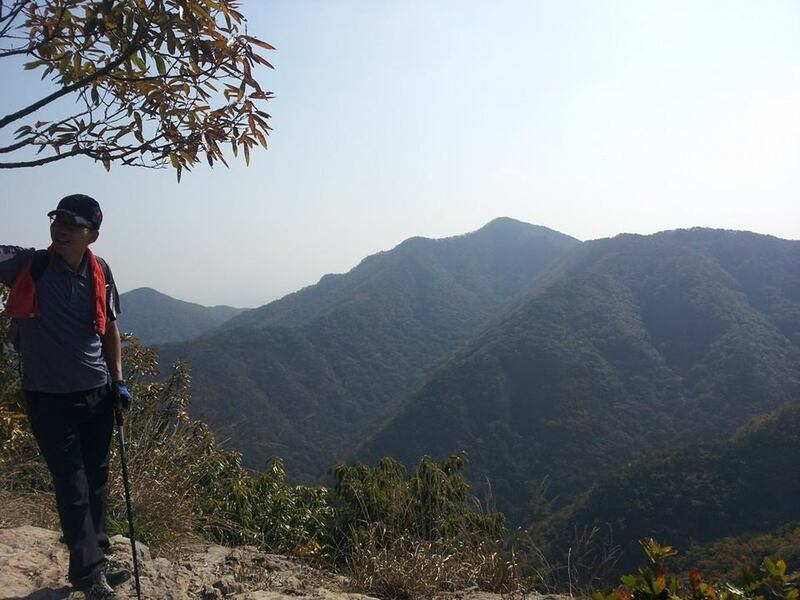 Then we climbed another peak at which time my muscles must have been fine because I could no longer feel them – but I could feel dehydration coming on. Then we took a short break, all together, and ate some raw cucumber. My thighs felt like they’d been through a tenderizer, my calves were, after a period of numbness, realizing it would be more fun to feel like they were on fire and I was still alternating between pinching my left and right carotid arteries. My carotid pinching, muscles on fire dehydrated face. At least nothing but the downhill stretch remained. It was then I discovered another thing about steep downhill descents – they require near constant flexing of both the calves and the quadriceps. When the descent takes the better part of an hour, that can cause some muscle fatigue. The returning numbness disguised that muscle fatigue to the point I didn’t really notice until, arriving at the base of the mountain, I discovered I’d lost the ability to walk normally on flat ground. Surprise! By the time we arrived at the restaurant for a bunch of post hike booze and bbq I wanted to vomit (thankfully I didn’t eat before the hike), I was unable to walk normally, I was pretty sure I’d torn a muscle in my left calf, my head hurt and I was having trouble staying awake. This was an asskicking on the scale of anything I experienced training for wrestling and beyond anything I went through in hell week playing football. But you know what? It’s just pain. Muscle tears heal, soreness fades and puking isn’t really that bad. The friends I made on this trip, the coworkers who saw my willingness to take a beating and keep going, the knowledge I didn’t quit, the sense of community I felt with the people I’d just met as we all spent three hours telling jokes and getting tipsy afterwards – those things don’t fade so quickly. View from the second peak. 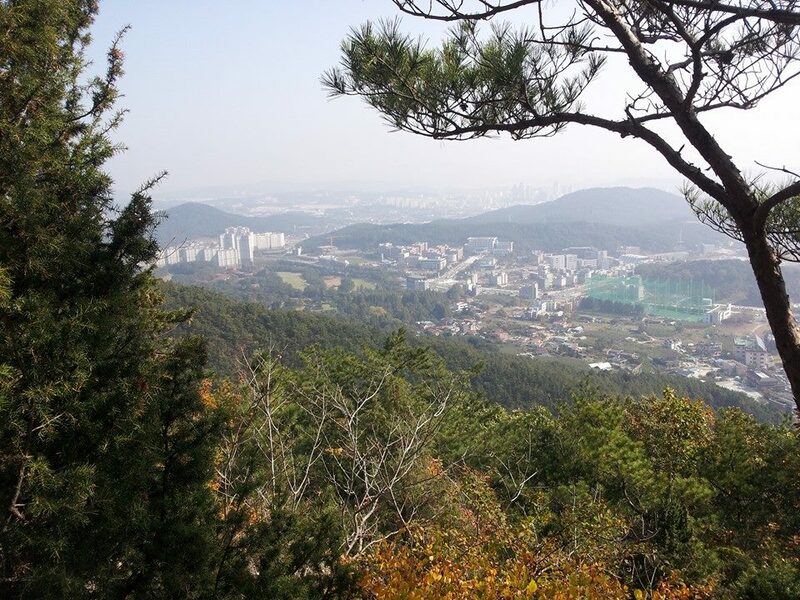 Daejeon, my city in Korea, as seen from above.